Back to the roots – give identity! 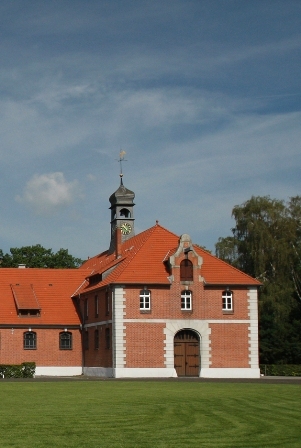 The society of the friends of the Lower Saxonian State Stud Celle e.V. 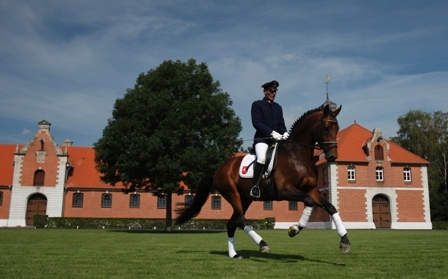 The Lower Saxonian State Stud Celle is the gamete of the Hanoverian horse breeding. In 2010, this very old institution, celebrated its 275 year jubilee. King George II, the king of Great Britain and elector of Hanover, founded the State Stud Celle at the river banks of the Fuhse, to support the agricultural horse breeding industry as an early way of an economic boost. The horse breeders are still the main and central focus of this modern service providing institution. The main objective is the promotion of stallions with exceptional quality for the breeding industry. But the many functions of the State Stud got more and more divers over the years. The stallion performance testing has been developed, with its first testing station in Germany in Westercelle, which has changed to be the world renowned stallion performance testing station Adelheidsdorf. For more than a century the Celle stallion parade is a magnet for spectators which come far and wide from all over Europe. The education of the horses and riders, the promotion of the competition sport, but also the up brining of the human and animal youngsters is part of the programme. We want to help to preserve the State Stud in all its beauty. Especially the historic carriages and uniforms are important to us, but also the valuable book collection and the old emblem landmark: the tower clock on top of the Grabensee stable. In cases where the county Lower Saxony is not able to, we are willing to help improve the buildings and the site itself within the boundaries of our possibilities. We want to help, to improve the status of the State Stud as the image holder of the horse county Lower Saxony. For this the publishing of picture books and festschrift is important. When becoming a member, you help to preserve this important high level institution. As a society with committed members with a horse breeding background, interesting in sport, politics and the economy, this society is also a place for information exchange. The society of the friends of the State Stud Celle is a place where a varied group of personalities from many areas in live come together for a good cause. Interested? To become a member click here! Of course you will receive a receipt for your donation.